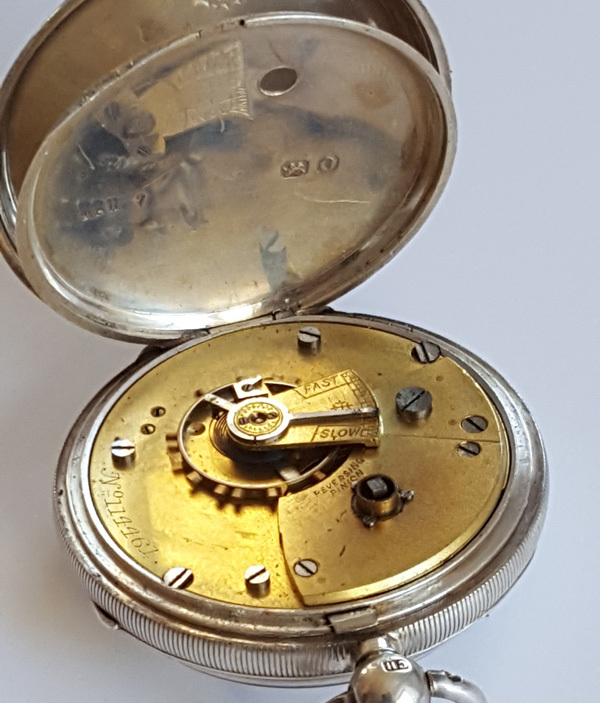 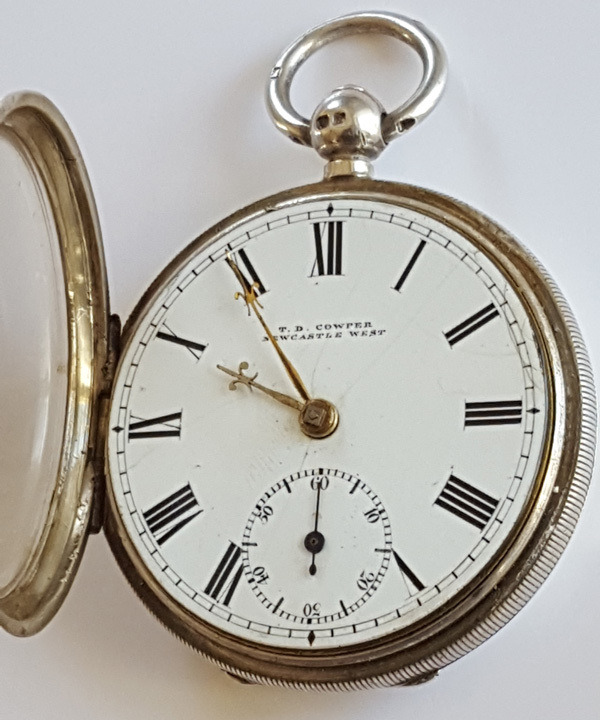 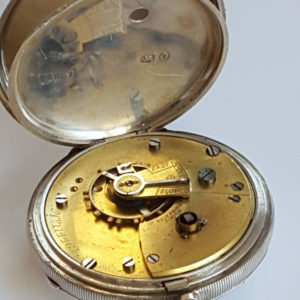 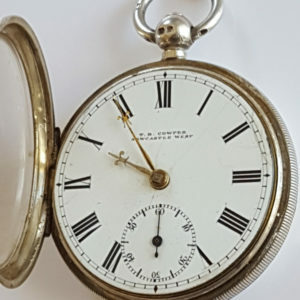 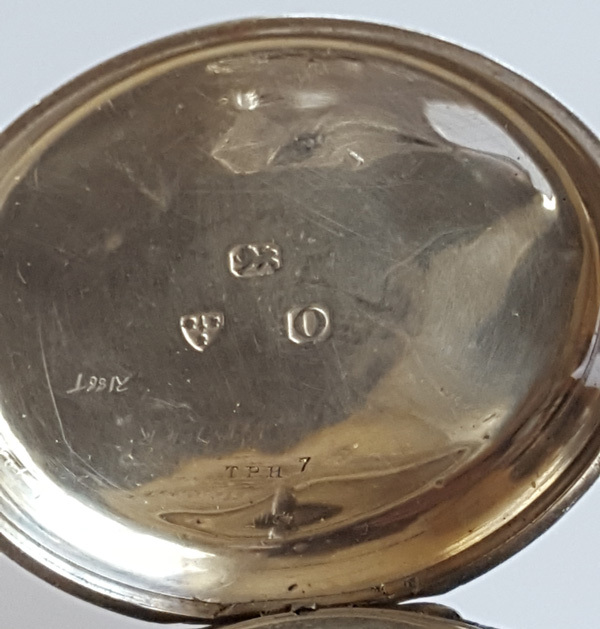 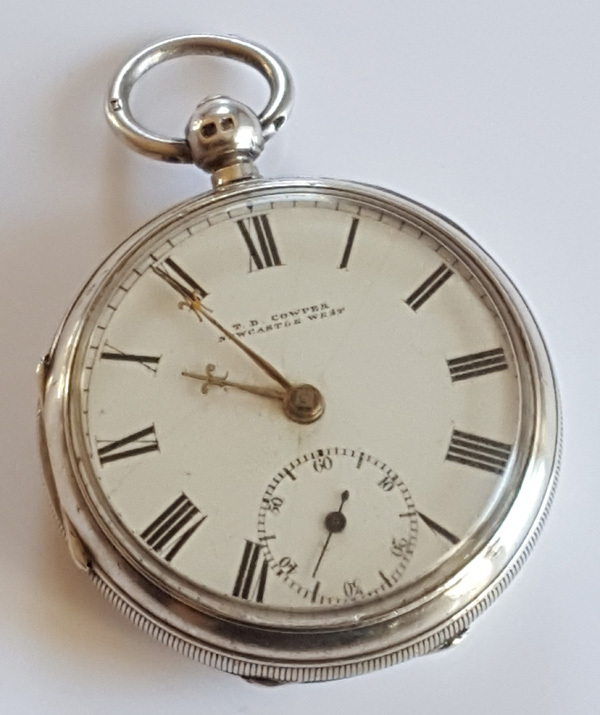 A T D Cowper Silver pocket watch from the Newcastle West Limerick maker. 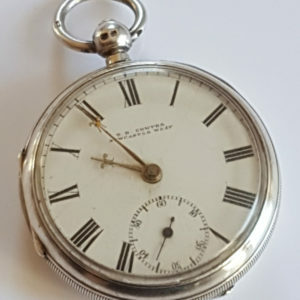 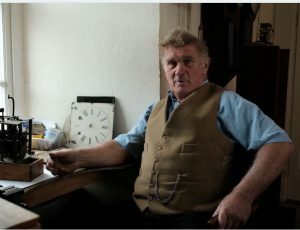 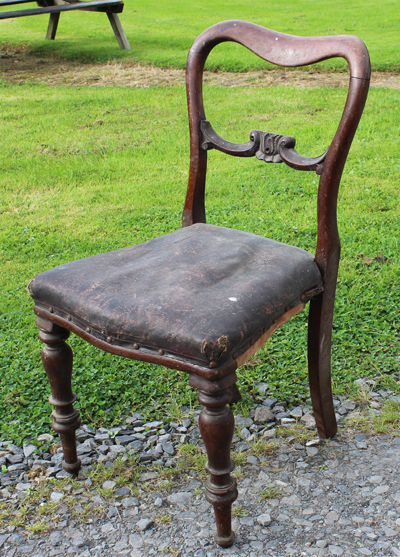 The Retail Jewellers of Ireland website states that Cowpers Jewellers was founded by Thomas Cowper in the early 1900s. 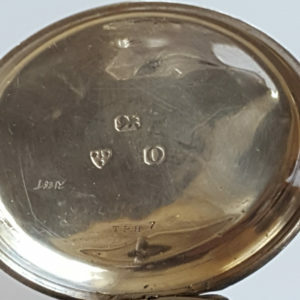 Judging from the Chester 1897 hall mark, it is possible that Thomas Cowper was trading in Newcasttle West at that time. 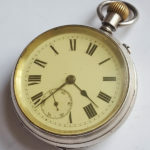 The movement is imported probably from England. 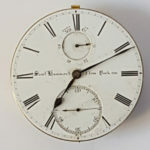 By then, watchmakers were under increasing pressure to present affordable watches to supply the growing demand.